Today, I sat in the subway and felt a pang of stress. A wave of melancholy hit me as I sat with my eyes closed. Tears streaming down my face. I felt all eyes on me. Hoping no one can tell I was crying under my large cat-eye frames, I wiped a quickly wiped my tears. The train stopped and I wished I were home. I wanted to yell, scream and cry out loud. I felt muted. I couldn’t do so. Today started off as a great day and somehow one comment twisted my thoughts into negative ones. I’ve been negative for quite sometime. This happened before work. The grass may alway seem greener on the other side except for myself at the moment.The social media obsession of lurking and not feeling fully content with myself, as I constantly compare myself to others such as family, etc. The thought of an ex-boyfriend thriving in a relationship with someone else. The thought of my best friend ignoring me because we got into a stupid argument. Or how one of my close male friend has been self-absorbent lately with his business. Everyone seems busy and I am feeling neglected. Graduate school rejections crossing my mind. Binge eaten my feelings out and I’ve gained a few pounds. My self-esteem has dropped. I haven’t gone on a single date since the summer. I’ve chosen not to I guess. Trying to focus on my goals and dreams. However, I’ve given up on myself today. These are my negative thoughts. Once, I get into this vicious cycle it can be an emotional rollercoaster. This is anxiety and depression. I know that perhaps this is just a feeling that will pass. However, right now it feels eternal. Maybe tomorrow I will wake up and my thoughts will be positive. It’s time to let these feelings be feelings. I admit I am angry and I am certain it will pass. I will stop making assumptions. My comparisons never took me anywhere. I despise my job at times because it was never the dream career. Yet, it pays off the bills. There is more to life than this daily routine. I’m relieved to be home at the comfort of my own small room, writing out my deepest personal feelings. Writing is my therapy. I’m here to let you know its okay to cry. If you can relate to me at some point in time. I’m here to let you know, you will persevere. Vent away. It’s okay to experience dark moments, as long as you get back up after sulking. It’s time to focus on your hobbies, ideas, and blessings. For instance, shower, eat , drink water ,write, draw, play music, sing, dance, work out, clean, launder etc. or read an interesting book to destress. Whatever cheers you up. Breathe, because tomorrow is a new day. All those people or tragic events that have hurt you are no longer relevant in your life. Your life will head towards a new direction once you start to value yourself. Let go. 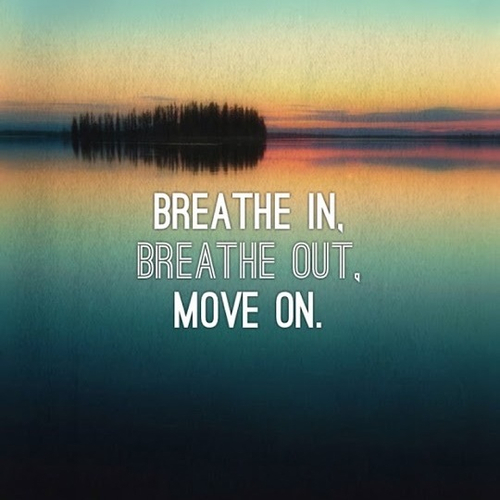 Just breathe in and out.